Zzzz - just love this photo of Jeff with Joseph, Joshua and Benjamin crashed out in Italy! Zzzz - for me too after successfully completing the April A to Z challenge :) Normal service will now be resumed! 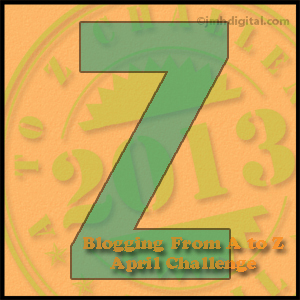 Congratulations on completing the A to Z Challenge.